Dr. Benjamin Kozower is a thoracic surgeon and professor of surgery. He is a major part of the multidisciplinary approach to treatment for pleural mesothelioma at the Siteman Cancer Center in St. Louis. Kozower has followed in the footsteps of his grandfather and father — both physicians — in deciding the medical profession was how he could best help those in need. In grade school, he followed them through hospital halls as they made their early morning rounds seeing patients. He was in the third grade when his mother was diagnosed with early stage lung cancer. Her recovery and survival was something he never forgot, playing a role in his decision to become a thoracic surgeon. Treating lung cancer today is one of his specialties, taking a personalized approach that always considers ways to improve the treatment and follow-up care he provides. As part of the Alliance/American College of Surgeons Clinical Research Program, he recently led a study that examined the relationship between postoperative survival and surveillance intensity. The study findings were published in 2018 by Annals of Surgery. “An important part of this survivorship experience for cancer care is how often should physicians be seeing people who are otherwise doing well,” he wrote. The findings, which were presented at the American Surgical Association’s annual meeting, led to an official recommendation of regular surveillance for non-small cell lung cancer survivors. Health services research is part of his work at Siteman Cancer Center, which is at the Barnes-Jewish Hospital and the Washington University School of Medicine. It is the only cancer center in Missouri with the prestigious Comprehensive Cancer Center designation from the National Cancer Institute. Kozower did his thoracic surgery residency at the University of Washington before spending almost a decade at the University of Virginia. He returned to the University of Washington, rejoining an international leader in cancer research, prevention and treatment. Siteman provides for close to 10,000 cancer patients each year with a full range of diagnostic and treatment services. His return also reunited him with Dr. Alexander Patterson, the distinguished pioneer in lung transplantation whom Kozower still considers his mentor. 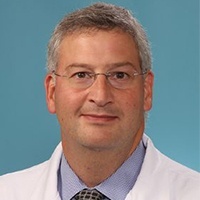 Kozower earned his medical degree from the University of Rochester in New York and followed it with a residency in general surgery at the University of Connecticut. He is board certified by the American Board of Thoracic Surgery and the American Board of Surgery. Disclaimer: Dr. Benjamin Kozower has no professional affiliation with Asbestos.com. Siteman Cancer Center. (n.d.). Benjamin Kozower, MD. Hembarsky, M. (2014, September 24). 7 Quick Questions: Meet Thoracic Surgeon Benjamin Kozower.